Initially a model and actress, German singer Nico moved into music and found fame when she sang three songs on the Velvet Undergrounds debut album before starting work on a solo career. The Music industry is often criticised for being ruthless and money driven, and there's no doubting that at times it can be, but then they come out with a release like this. Despite good reviews when it was first released, it was a commercial failure, so to spend more cash remastering it, add in a load of bonus material and reissue it seems an odd move from a commercial perspective, but for music lovers it's a great move as we not only get the original album but also some rare material to listen to. Newly remastered the album sounds better than ever. The sound is beautifully clear and the vocals are haunting. 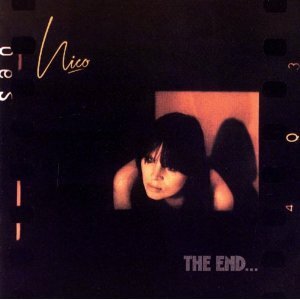 The album contains six songs written by Nico, along with two other songs - a version of the German national anthem "Das lied der Deutschen", and a cover of "The End" by the Doors. Nico's cover of the Doors hit "The end" is absolutely superb. It was always a strange song, and Nico's version makes it darker and more eerie. The bonus material is mainly from the John Peel session of 3rd December 1974, with one from an earlier John Peel session, two from The Old Grey Whistle Test. With the Harmonium giving the album a distinctive sound as with her previous albums, with this album we also have synths from Brian Eno as well as John Cale playing a multitude of instruments to really help give the album a unique sound. It's a great album - it's got a unique bizarre and slightly dark feel to it. Definitely an album worth listening to.